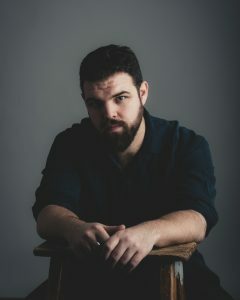 Joshua Bainbridge is the Artistic Director of The Proscenium Club, an actor, writer, director living in North Bay and a Graduate of Canadore Colleges Theatre Arts Program. He founded the theatre company J2 Productions in 2009, adapting Reservoir Dogs into a stage show and starring as Mr. White. Josh has written and directed a number of original and adapted works including I Hear You Ride Horses, People Grieving, The Three Musketeers Trilogy (appearing as Athos in all three parts), Robin Hood: King of the Outlaws (Little John), The Life and Death of John the Milkman, Paper Dolls and Poison Ground, Barefoot on the Moon,and I Live with Him Every Day: The Tragedy of David and Dave. 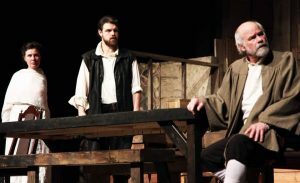 Other notable roles include Edmund in the Watershed Shakespeare Festival Collective (WSFC) production of King Lear. Ben in The Night of the Living Dead, Hank in Marvin’s Room, Richard in You Are Here and as Mercutio in the WSFC production of Romeo and Juliet. 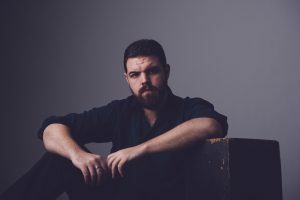 Josh also works in film and television and has appeared in Harold and Lorna, the feature films A Dark Truth, Mums the Word, Joseph and Mary, Country Crush, the Netflix original film The New Romantic and Noel en Boite, as well as the television series Dark Rising: Warrior of the Worlds, Bad Blood,What Would Sal Do?, Cardinal and Letterkenny. 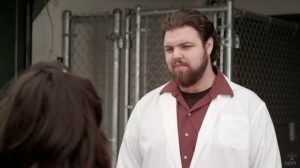 Joshua played Stig in the series premiere of the USA Network series Eyewitness and was a series regular on TVO’s Hard Rock Medical. 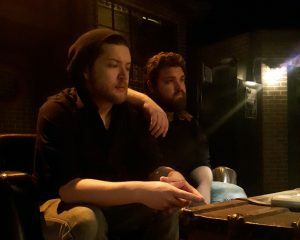 In summer of 2017, Josh adapted, directed and played the titular character in Macbeth at The On The Edge Fringe Festival. Winner of two Best in Fringe Awards; Jurors’ Choice and Audience Choice. Joshua is the writer and director of Proscenium Club’s most recent show, Sit, James, in which he also appears on stage as Terry. Josh also engages the arts as a visual and multi-artist working with groups such as Aanmitaagzi, Future in Safe Hands Collective and on the contemporary art festival Ice Follies. Josh’s media arts installation practice focuses on dystopian futures that are not far from our reality. “People need dramatic examples to shake them out of apathy and I can’t do that without making art.” His work engages in the macabre and often dark truths about the places that people do not want to acknowledge.